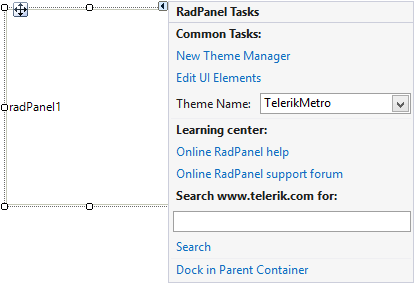 To start using RadPanel just drag it from the toolbox and drop it at the form. Select RadPanel and click the small arrow on the top right position in order to open the Smart Tag. Dock in Parent Container: Sets the control Dock property to Fill.